According to the ancient art and science of Feng Shui, your bedroom has a significant impact on your health and well-being. It’s important that you feel cozy and relaxed in the space. Create comfort by personalizing the space with your favorite things. 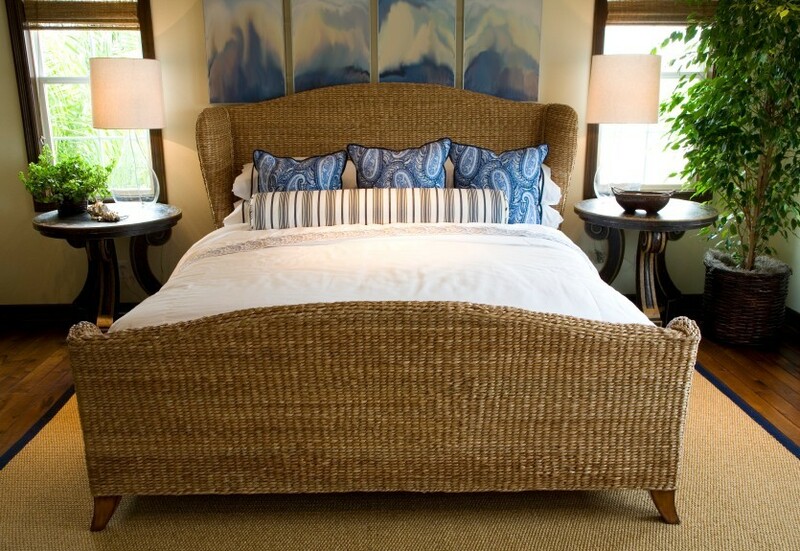 When you invest in creating a comfortable bedroom you’ll be better able to deal with daily stressors. 1-Pets are comforting and warm to sleep with – they can help you relax. 2-To create a feeling of warmth, add accessories in fire colors. Fire colors are red, purple, orange, and pink. Use at least three items of the same color in the room to ensure harmony. 3- As you get into and out of your bed, you should step on a soft, warm floor. 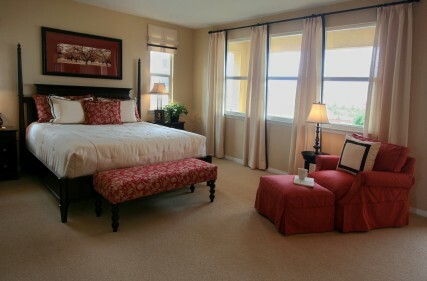 If your floor is cold and hard, place a soft area rug under the bed or on each side of the bed. 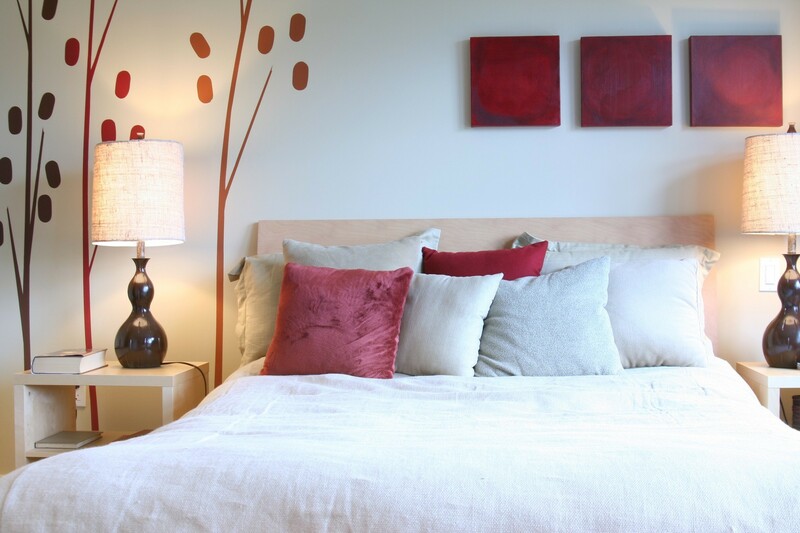 4- Use different types of lighting in the bedroom to create a tranquil mood. It’s practical to have one overhead light to use when you need to light up the whole room, but don’t use it on a nightly basis. Place a three-way reading lamp on each side of the bed. If you can find lamps that have the switch on the base of the lamp they’ll be a lot easier to turn on and off from bed. 5-Hanging a strand or two of Christmas lights creates warmth and ambience. A favorite scented candle can help you relax. 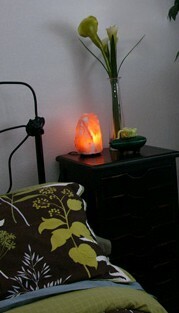 And Himalyan Salt Lamps add a warm glow. 6-To create a cocoon-like protected feeling hang drapery panels on each side of your windows in a sumptuous material like Dupioni Silk or Velvet. (You can add panels even if you already have Roman Shades or blinds). 7- Personlize your space by creating an altar or a sacred space. You can create an altar with things you value. It can be a spiritual space or a place to create your intentions such as being in a healthy relationship or in a healthy body. If you don’t have room for another flat surface in the room, create it on your wall! 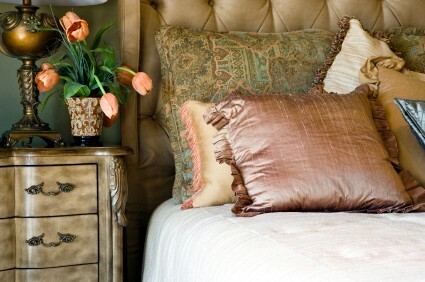 8- Have a “comfort” basket or drawer next to your bed that’s filled with things that relax you. An inspirational book, a shell from your favorite beach, moisturizer, a pad and a pen, and a relaxing CD can be included. 9-Always have an extra blanket on the foot of your bed. You don’t have to use it, but it helps give you a grounded feeling and you’ll be better able to relax. 10- Put photos of you and your partner in the bedroom. Friends and family photos can be displayed in other areas of your home. According to the ancient art and science of Feng Shui, your bedroom has a significant impact on your health and well-being. It’s vital that you feel cozy and relaxed in the space so you can unwind from daily stress and sleep soundly. When you invest in creating a comfortable bedroom you’ll reap the benefits of better health and a more balanced frame-of-mind. 1- Quietness induces relaxation. Sleep in a room that’s in a quiet area of your home. It will usually be toward the back of the home, away from street noise. 2- Connect to nature. A bedroom with windows allowing views of nature or a door leading outside helps you access nature which creates peacefulness. 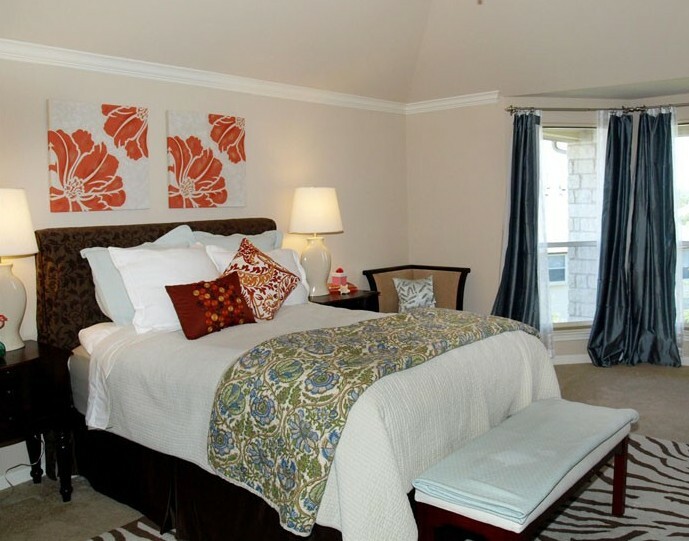 3- Paint the bedroom with a warm tone rather than a cool tone unless you live in a hot climate. The best colors for creating warmth are beige, yellow, and coral. For hot climates blue, lilac, white and grey tones are preferable to create balance with the climate. 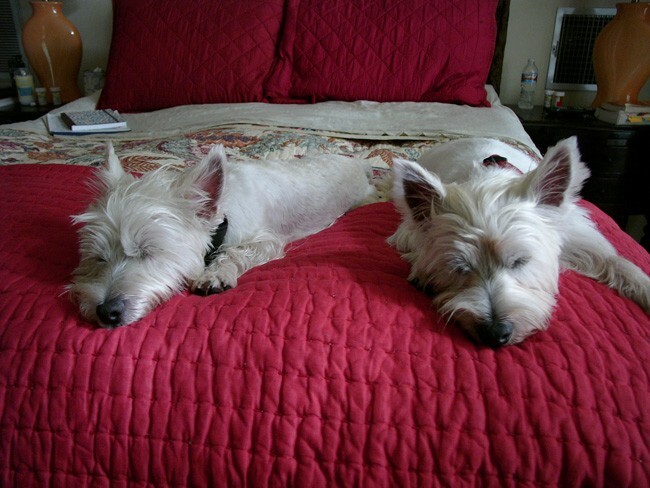 4- Your bed is the most important area in the room. Make it as comfortable as possible. Choose a comfortable mattress. If you’ve had your current mattress for more than seven years, it’s time to invest in a new one. And add a down-filled mattress topper to make your bed irresistibly cozy. If your budget doesn’t allow for a new mattress, a mattress topper is a great addition. 5- It’s important that you feel a sense of security in the space so you can relax. It’s best to choose a bed-frame with a headboard and a footboard so you’ll feel protected. If your bed doesn’t have a footboard, you can place a bench at the foot of the bed as a substitute. If you don’t have a headboard, make sure your bed is located on a solid wall that doesn’t have plumbing behind it. 6- Select the most sumptuous bed linens you can find within your budget. Mix and match them for fun. 7- Place extra pillows on the bed for comfort. 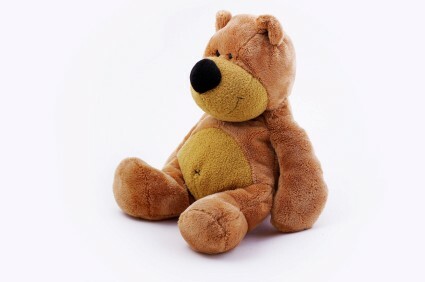 And a stuffed animal on the bed feels nurturing no matter what age you are. 8- Place a nightstand on either side of your bed. They don’t have to match, but they should be about equal in proportion. If your room is small, placing one side of the bed 12-18 inches from the wall can replace a nightstand. 9- Make sure that what you look at while sitting in your bed uplifts your spirits. This includes artwork, furniture, bookshelves, and wall color. 1o- Add a soft comfortable chair for reading or create an area with cushions for meditating if space permits. Next time ~ 10 more simple solutions to create a comfortable bedroom. 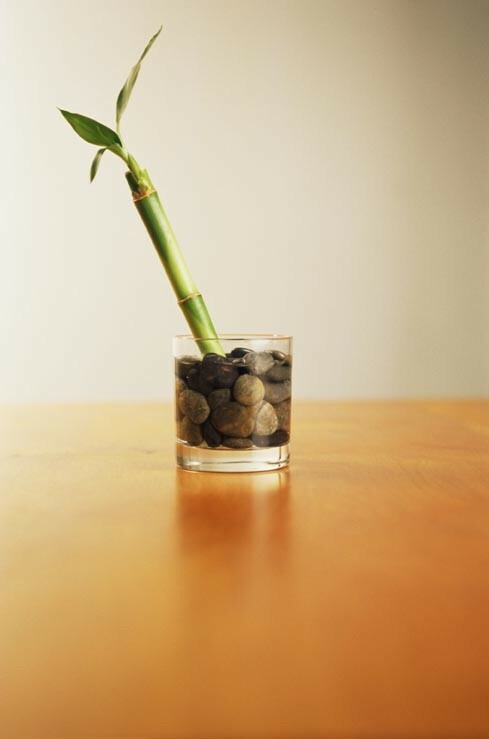 Feng Shui 101 – The Most Important Room in your Home. According to Feng Shui also known as the Art of Living in Harmony with your environment- the most important room in your home is your bedroom. The reason it’s most important is because your bedroom is the gateway to good health. Sleep is vital to your well-being and is the key to coping with life in a measured way. You can improve your health by arranging your bedroom in accordance with Feng Shui principles. Your furniture arrangement and decorating choices (or lack thereof) manifest energy. Even though you can’t see energy, you’ll feel its effects. And when you’re asleep, you easily absorb energy around you because your defenses are low. For example if you were born in 1959, your birth year energy is water energy so your bedroom should have an abundance of water energy along with the enhancer of water energy which is metal energy. Choose colors, furniture, artwork, flooring, paint and bedding with metal and water energy – but remember the underlying goal of Feng Shui is balance so ensure all the elements are present but in varying degrees. At least as important with keeping the décor of the bedroom aligned with your birth-year energy, your bedroom should have as many of the following attributes as possible. Do the best you can with what you have. Don’t worry if you can’t follow each guideline. 1. 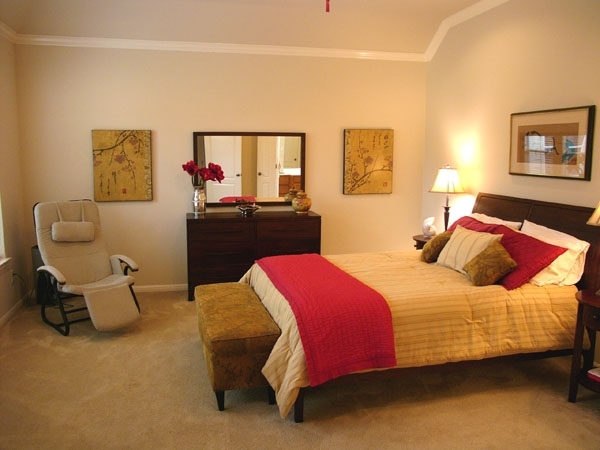 Sleep in a quiet room located in a quiet area of your home. 2. Create a dark space in order to sleep your best. 3. Position your bed along the longest wall of the room (don’t worry about the so-called “corpse position”). But don’t put it directly behind a toilet from an adjoining bathroom. 4. Put your bed in the command position if possible. This means that you can easily see the door and whoever’s coming in the door. 5. Have a sturdy headboard behind you especially if you need to place the bed on the same wall as a window. 6. 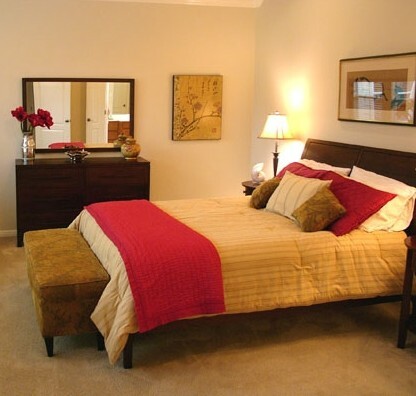 Place a nightstand on either side of the bed if the room allows. 7. Ensure that your bed has a footboard OR put a small bench at the foot of your bed. The idea is to increase your ability to relax by placing furniture around your bed to cocoon yourself. Questions or comments? Post here! Next time – Easy ways to create a comfortable bedroom. The New Year brings new beginnings and what better time to revitalize your home? Your life begins at home. Creating balance and flow in your home positively affects your life. Using Feng Shui, the Eastern Art of Placement, helps revitalize your space and can be tailored to any budget. If you’ve been putting off getting started, why not use the New Year to boost your motivation? Most people are encouraged when they see the results of even a small change, odds are, you will too. 1. Rearrange furniture. Moving things frees stagnate energy and creates a change in how a room feels. Try a different furniture arrangement. Exchange furniture between rooms. Think outside the box. If you’ve already tried a bazillion ways to rearrange a small room, eliminate a piece of furniture and get something that’s stylish, functional and within your budget to add new energy. 2. Along with furniture, rearrange your “stuff.” Moving things around moves energy and gives you a new look without spending mon ey. I’m talking about bookshelves, artwork, collectibles, and accessories. Put things away for a few months and then change the scenery as the season or your frame of mind changes. 4. Does your home lack color? Take stock of the rooms you spend the most time in – are they in need of warming up? 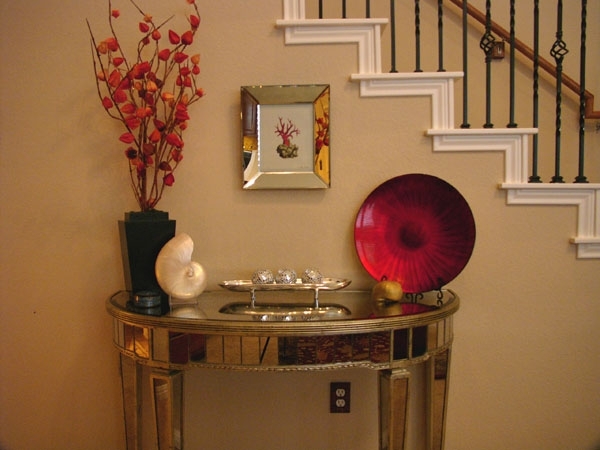 Warm colors in Feng Shui are all shades of red, orange, pink, purple and yellow. These colors emanate energy and in Feng Shui where there’s energy there’s life and opportunity. Decide on your favorite warm color and use it at least three times in the room to create a cohesive feel. 5. Building on the suggestion from #4 above, here are easy, affordable ways to add color. Spray paint items like electrical switch-plates, small tables, or an accessory. Spray paint creates immediate change to an old or worn-out item. Purchase small pillows and/or a throw blanket. Add an area rug. 6. And for immediate change with low expense, paint a room or paint an accent color wall in a room. Changing a wall color not only creates a different feeling – it also changes the colors of other items in the space as they reflect back the new color. For example, a red wall will make pinks appear pinker and blues appear as violet. 7. Treat yourself to a thrift-store shopping spree and find one thing that you really love for your home. Don’t buy anything if it’s not “you.” Place it in a prominent place so that will make you Smile. Questions? Post here and I’ll be happy to help!